"Hi Michael - Tommy ordered this banner from you & you had asked him to forward a picture of it. It was/is PERFECT!! Thank you so much for it! PS- I said YES!!!" 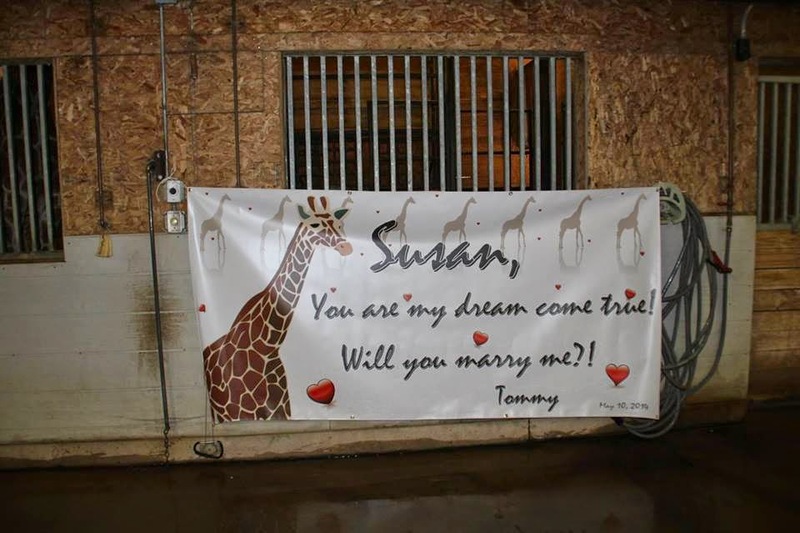 Congratulations Tommy & Susan! We are so glad that we were able to help you make your proposal special!